Agatha (Mankus) Tonila with four of her girls. Daughter Agnes (Tonila) Gooch with hands on her mother’s shoulder. John George Tonila was a coal miner and Agatha was a homemaker with 9 children. 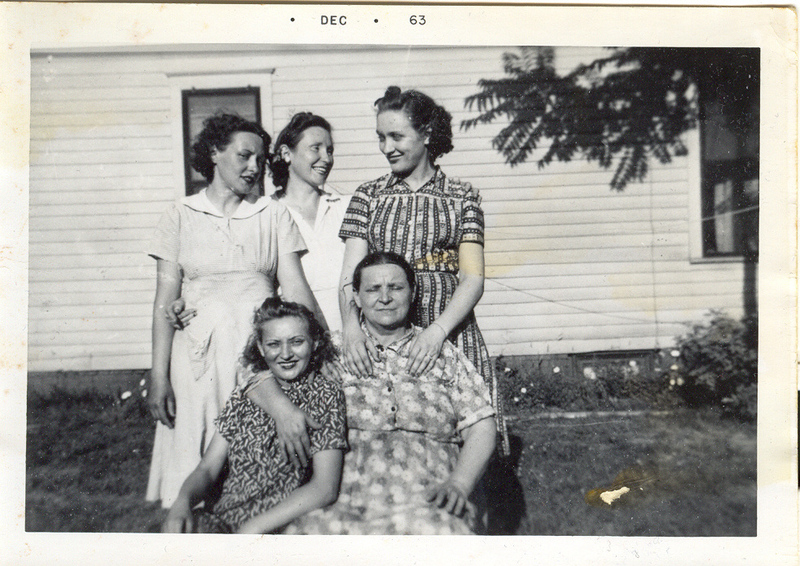 The birth order was: Helen, Marie, Edward, Minnie, John, Adella, Anne (Patsy), Agnes (my maternal grandmother), and Mildred. The family lived on Reynolds Avenue in Springfield. 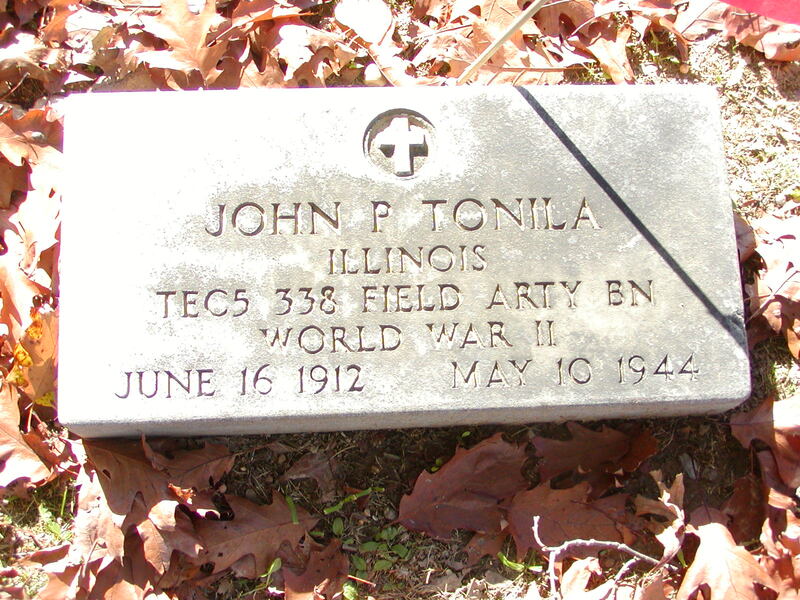 One of the children named after his father, John (Johnny) Tonila, born in June 16, 1912, died in service to our country on May 10, 1944. Johnny was engaged to be married when he died. 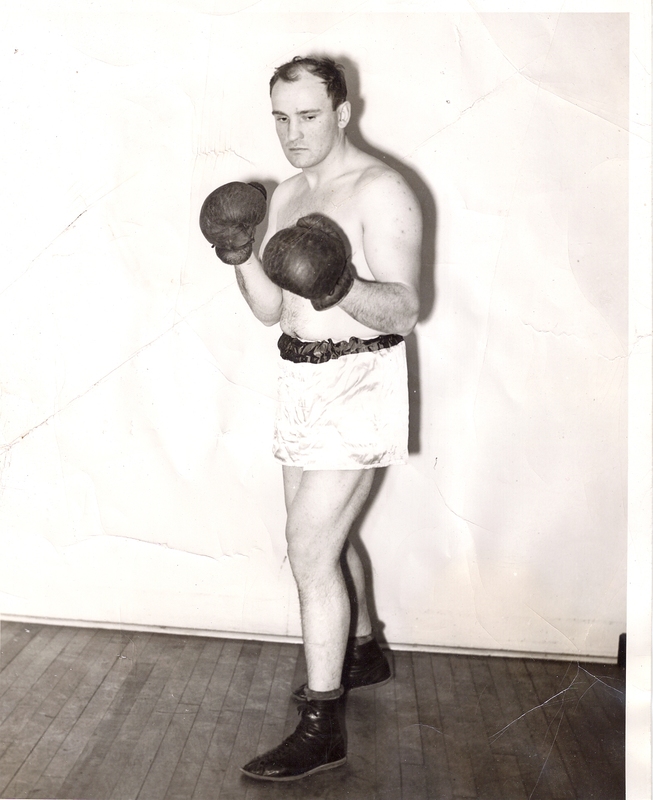 He was a big, strapping guy, and family lore says he was a Golden Gloves champ in Springfield. Before enlisting in the Army in 1939, he was a delivery truck driver. He enlisted for the Philippines, but somehow ended up in the European theater during World War II and served in the 338th Field Artillery Batallion. He died in Monte Cassino, Italy on May 10, 1944, while working as a cook in a mess tent. His name was on the special plaque dedicated to the parish war dead inside St. Vincent de Paul Lithuanian Catholic Church. John George and Agatha’s daughter Agnes Tonila Gooch, my maternal grandmother, was a quiet and spiritual woman. She, like most of her siblings, had an 8th-grade education. She worked at laundries doing the hard, manual women’s labor of the day, finally at St. John’s hospital. I always found it novel that she didn’t have fingerprints–they were burned off by the hot sheets she handled on the job. Like many Lithuanian-Americans, she went to St. Vincent DePaul Church in Springfield, and after it was closed on Jan. 1, 1972, she never went back to church, but continued her daily rosary, and she taught me the rosary, as well. Grandma Agnes always bought me new shoes for school and clothes for Christmas because she remembered getting hand-me-downs all the time as one of the youngest in her family and never had new things for herself. She idolized her big brother Johnny who had died in the War, and always talked about him. 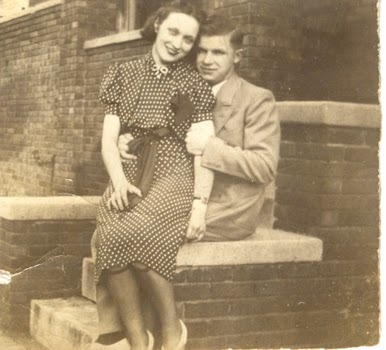 My grandmother Agnes married Howard Gooch, from a German family. Her sister, my Great Aunt Adella Tonila Barger, a beautiful woman, died too young after a tooth abscess caused a brain infection.